Thank You, Whiskey Plank Club Sponsors! 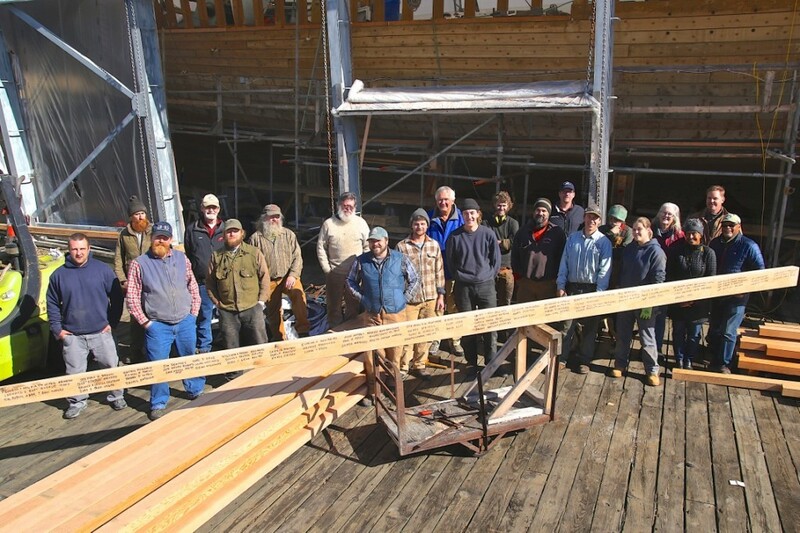 Under cool, sunny skies the ceremonial, final “shutter” plank was laid into the hull of New Bedford’s very own historic, Schooner Ernestina-Morrissey. The October 25th event marked a major milestone in the complete rebuild of the Schooner that has been ongoing since the Spring of 2015. 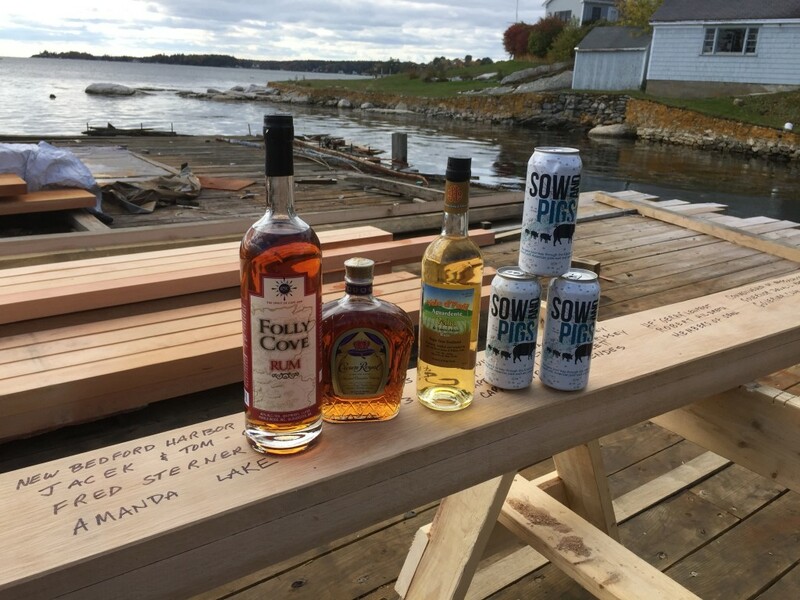 It was an emotional event enjoyed by all, marked by the blessing of the plank with Gloucester rum, Canadian whiskey, Cape Verdean grogue and Buzzards Bay Sow & Pigs beer. The libations represented the vessel’s unique history as a Grand Banks fishing schooner, an Arctic explorer, a Cape Verdean trans-Atlantic packet, and most recently, a cultural and educational sail-training vessel and the Official Vessel of Massachusetts. The plank was inscribed with the names of donors to the Whiskey Plank Club. Gloucester’s #RyanandWood Folly Cove Rum, Canadian Whiskey, New Bedford’s #BiscaClub 's Cape Verdean Grogue and South Coast’s #BuzzardsBayBrew 's Sow and Pigs. Representing all the parts of Ernestina-Morrissey's history. and South Coast’s Buzzards Bay Brewery for Sow and Pigs beer. Representing all the parts of Ernestina-Morrissey‘s amazing history. To help support this project please press the yellow DONATE button at the right. This entry was posted in Fundraising Committee, News. Bookmark the permalink.